"Your life begins where your comfort zone ends"
News of how dangerous my life is in Mexico always comes unexpectedly. The first time, a few months after my arrival to Mazatlán, a friend called me from Denver to tell me how brave was to live here. At the moment of the call I was sipping a piña colada and walking to the beach near El Cid Marina on the north end of Mazatlán. I had to stop for a moment and look around to make sure she wasn’t seeing some threat through the phone that I didn’t. Recently it happened again while I was watching the sun set over the ocean from my place and listening to Juanes sing “Es por ti” (probably for the fiftieth time...it's a really great song). Another friend called to tell me she had decided not to come visit me because Mexico was too dangerous. Did I mention she grew up in Ethiopia? These calls remind me how the energy generated by fear can either freeze us or free us. Change and leaving the zone of the predictable is uncomfortable. We have to do it though because personal growth stops when change stops, and you can’t have change without moving something around. Fear has the same power over you whether it’s warranted or unwarranted (as it is here). “To improve is to change, and to become perfect is to change often.” - Winston Churchill. Very few people are inherently brave. When I was looking into moving to Mexico, I’d read the same scary press that my friends do. For the first few months in Mexico I was on high-alert, stumbling though Spanish made worse by my anxiety and suspicious of every exchange involving money. I wasn’t just out of my comfort zone, I was orbiting it from outer space. Passing through that period of fear and discomfort ultimately landed me on the other side of it, and to becoming the piña colada-sipper I am today. The first thing we have do is to prove to ourselves is that nothing physically bad is likely to happen. The chance of physical harm is very low in most every aspect of life. The only thing I might die from in Mexico might be embarrassment if my Mexican friends ever found out what had been going on in my head. Fear prevents many people from coming to Mexico. That some people decide not to go to Mexico for vacation isn’t serious. Thousands of fantastic vacation destinations exist throughout the world. The price of not facing that fear is quite low. What about the higher cost paid by thousands for whom Mexico (or some other less expensive country) might be a creative solution to saving their retirement? What if that fear is preventing them from grasping a lifeline back to retiring comfortably at an age when they still have a decade or more of good health to to enjoy it? In this case, the price for not stepping out of a comfort zone could be very high. When we were very young, we needed to be afraid. We couldn’t tell the difference between a friendly person and a predator. We had fewer frames of reference to judge the cost of things, both literally and figuratively. Fear kept us safe. Not that real danger doesn’t exist. Not all of it's physical. Real danger exists right now in the U.S. in the form of lack of access affordable health care, predicted housing shortages for middle class people and even the increasing likelihood of being a victim of gun violence, like the Denver transit guard who was randomly shot in the head on a street in downtown Denver, two blocks from the apartment I keep there, in one of the toniest areas of the city. In addressing the fear of moving to a less expensive country, we should be able to tell the difference between the dangerous and simply exotic or different. We should know the difference between the acceleration in our heart that comes from the prospect of adventure as opposed to the acceleration that comes from real danger. If we still can’t tell the difference, this is where successful, experienced friends come in. Friends can help you recognize a real danger from simply fear of change if you only listen to them. My initial nervousness about being alone in Mexico both tickled and annoyed the experienced expats I was around, always a big clue that a fear is unfounded. The older we get, I think the harder it is to see we are in a comfort zone. By middle age many people fear change of any kind, much less the type of major change of moving to a foreign country, no matter how much their financial situation justifies it. Overcoming fear is often the only obstacle in choosing a life style more in keeping with health and financial priorities. We all need friends, mentors to help us face our fears and move out of our comfort zones. I have achieved many things in my life simply because someone else took it as a given that I could. Their assumption that I was not afraid when I was actually terrified pushed me out of my comfort zone, made me do what I was scared to death of. What if you could wake up feeling energized, with heightened awareness of everything around you? Channeled constructively, fear does that. Fear is a gift when it increases your motivation and gives you energy to move through it and make changes that will ultimately make you a happier person. Too many people stay stuck in their fear rather than being uncomfortable for long enough to learn to use it to their advantage. Whenever I come back to the U.S. after being in Mexico, I am struck by the level of fear people are living with. Their level of anxiety manifests in how quickly they are to be angry and annoyed. At the heart of anger is always fear. If you had never done anything that made you nervous, where would you be now? Whether your fear is moving out of your neighborhood or trying another church, most likely doing the things you fear are the things you should be doing. Facing fear is the only way to make a habit of it and come to acknowledge fear as a familiar friend. Even if you aren’t ready to move to another country, you can start pushing the boundaries of your comfort zone in small ways. Happily, not every change even has to be permanent, including life in Mexico. You can always go back to your old work, your old hobbies and your old lifestyle. You can always move back. You can go home again. I still haven’t decided whether living in Mexico will be permanent. Every year I understand Mexico as a place where I could retire one day with more grace, dignity and comfort than I could ever afford at home. Many expats have written about being forced to return unwillingly to the U.S., shaking them from the comfort zone they’ve found in Mexico. Someday that might be my new fear - the fear of having to go back. Related links: Perception is reality. Before coming to Mexico, you need to examine your misconceptions. - Ventanas Mexico. Maybe instead of fearing what might happen if you do something, you should fear the consequences of if you don't. Fear of the mundane also drove me to choose Mexico. Next up: Pamper yourself in Mexico for the same price as you paid in the U.S...in 1985. Most recent: Nowhere in the U.S. will you have bus experiences you can have in Mexico. Hola! 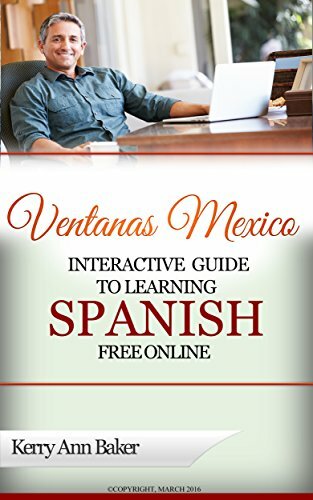 I'm Kerry Baker and I'm a partner at Ventanas Mexico and author of the "Interactive Guide to Learning Spanish Free Online," the ultimate guide to the best free tools to learn Spanish online along with lesson plans that will make every day different. You can learn Spanish as an older adult. I did and here in this guide are the tools. Study from your laptop or tablet using the Guide. Don't be an expat who doesn't speak any Spanish! The time to start is now, before you come to Mexico. 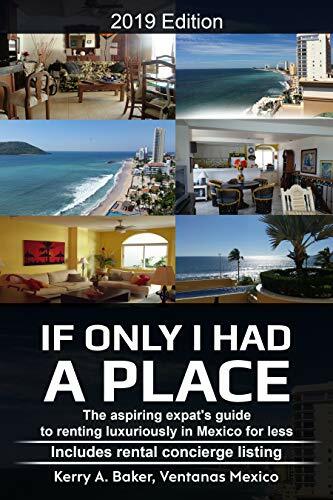 I more recently released "If Only I Had a Place," on renting luxuriously in Mexico. Renting in Mexico is different, with cultural advantages and disadvantages that you might never think about until you've made a critical mistake. This book will surprise you. It also has a listing of rental concierges, ambassadors in most of the most popular expat destinations in Mexico.